Daltrade sponsorship of charity team helps raise money for Diabetes UK and the British Heart Foundation. 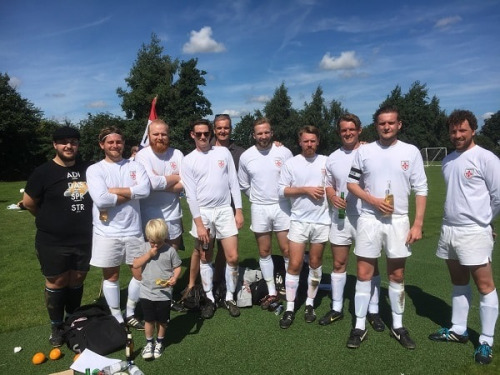 Daltrade Chemicals of Howden (part of the Plater Chemicals Group), recently sponsored the comically-named football team, “Goole Hand Wash” in Goole Town Cricket Club’s annual six-a-side football tournament. The charity event raised vital funds for Diabetes UK and the British Heart Foundation. Enjoyed and supported by local families, the event also featured stalls and games as well as a disco and karaoke after the football. Goole Hand Wash progressed well through the early group stages of the tournament. Sadly, they were narrowly beaten on penalties in the quarter finals by the team, Eastern Raiders who eventually won the event.